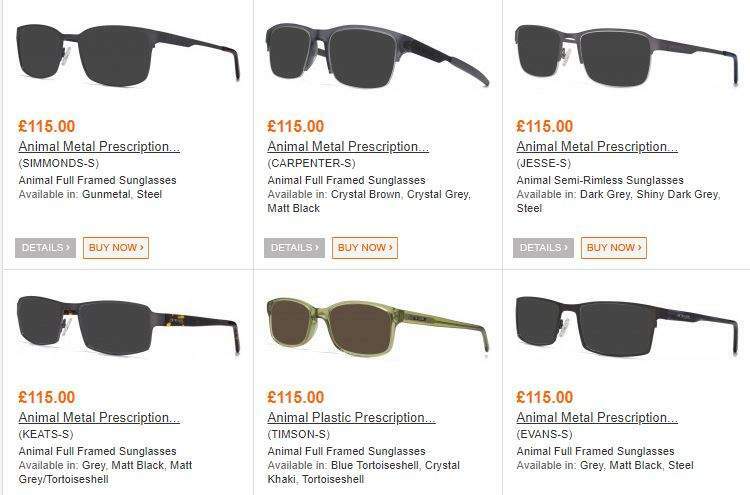 Animal prescription glasses are priced at £105 and prescription sunglasses are £115 but when you use code ANIMAL at checkout the glasses drop to £15 (£19.99 delivered) and the sunglasses drop to £25 (£29.99 delivered) It says delivery will be between 10 and 30 working days as these are in high demand. Loads of designs to choose from 16 glasses and 16 sunglasses then lots of frame colours within the designs too. Plus you can add an official Animal hard zipped case for an extra £3. If you don't have your prescription on you or need an eye test you can order and send it on to them later - the deal ends end of Tuesday 19th so if you buy now you've secured the price to add your prescription later. For amusing 'animals wearing human items' Instagram opportunities, I find …For amusing 'animals wearing human items' Instagram opportunities, I find that Superglue works well. As always only tacky colours available, they are cheap for reason, this is how companys shift non salable stock. perfect for my holiday, thanks a lot! Word of warning they are very slow to dispatch. My order from 3 weeks ago only dispatched yesterday. Word of warning they are very slow to dispatch. My order from 3 weeks ago …Word of warning they are very slow to dispatch. My order from 3 weeks ago only dispatched yesterday. Yeah I did put it in the op that it takes between 10 and 30 working days - I guess you don't mind waiting at these prices though? Yeah I did say Yeah I did put it in the op that it takes between 10 and …Yeah I did say Yeah I did put it in the op that it takes between 10 and 30 working days - I guess you don't mind waiting at these prices though? These are much too big for my cat. They fall off straight away so I asked for my money back. These are much too big for my cat. They fall off straight away so I asked …These are much too big for my cat. They fall off straight away so I asked for my money back. For amusing 'animals wearing human items' Instagram opportunities, I find that Superglue works well. Looks like it's £9 on top for lenses? Hope you don't want them for this summer still waiting after 4 weeks for mine. Last time, my order took 7 weeks from order to dispatch. We've noticed that you've selected Single Vision glasses but not opted for the Specky2 lens package which includes an anti-glare coating (prevents glare from oncoming headlights when driving and glare from artificial lights when reading, using a computer, using a mobile phone or tablet etc). 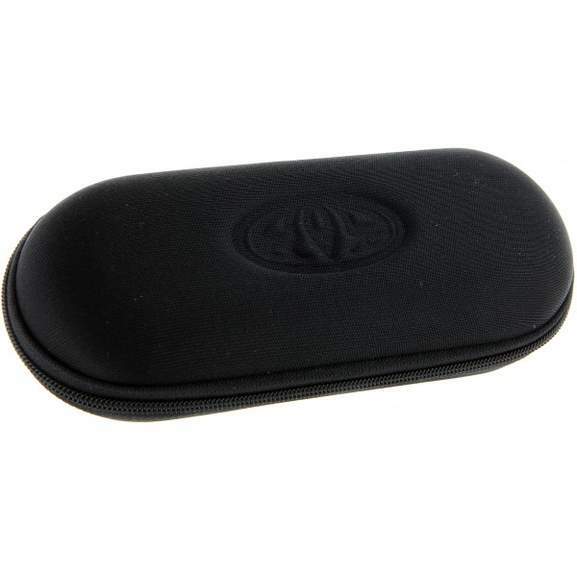 Normally the Specky2 package is £19, however, if you'd like to add it today we'd be willing to include it with your order for just £9.99, plus it includes a scratch resistant coating too. Would it be so hard for them to include an image of someone wearing the glasses/sunglasses? Can any vet test my dog's eyes or is a specialist required? Took over 4 months for my last pair, I had to contact them 3 times to remind them I hadn't had them yet. Is this available until.nidnight tonight? 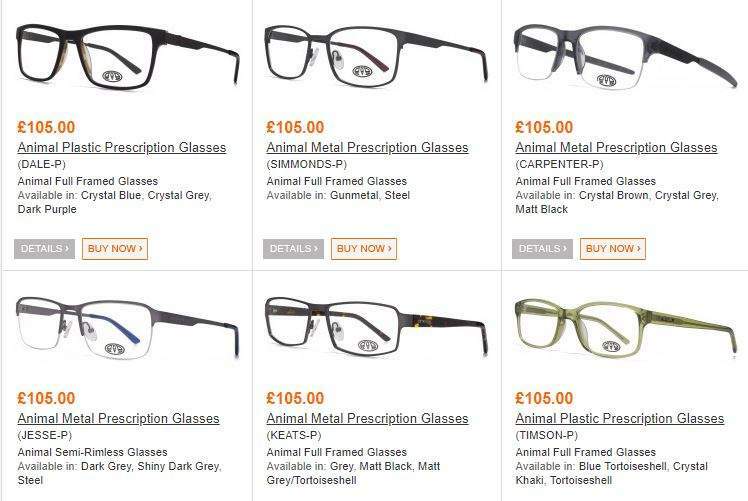 I'm wearing my animal frames from Specky 4 Eyes as I type but be warned they took months to arrive and there was a catalogue of errors along the way including wrong frames, wrong prescription, terrible customer service. Worked out OK in the end but wouldn't use again. 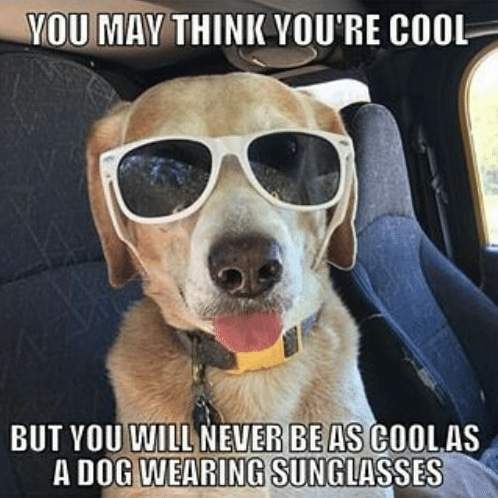 Thanks ordered clear and sunglasses. It wouldn't let me apply the discount to both pairs in the same order so I had to submit 2 orders with 2 sets of £4.99 delivery. Oh well, great discount anyway. Now discounting at £40 per pair, not at £90, so cheaper elsewhere. Just checked now - still discounting £90 for me? Thanks OP ordered, I skipped the extra for lenses and they have just …Thanks OP ordered, I skipped the extra for lenses and they have just emailed me this:-We've noticed that you've selected Single Vision glasses but not opted for the Specky2 lens package which includes an anti-glare coating (prevents glare from oncoming headlights when driving and glare from artificial lights when reading, using a computer, using a mobile phone or tablet etc).Normally the Specky2 package is £19, however, if you'd like to add it today we'd be willing to include it with your order for just £9.99, plus it includes a scratch resistant coating too. 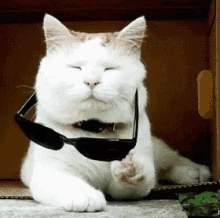 Just ordered a pair of sunglasses but when selecting lenses the option was 15% (darkest), a quick google says this is a fashion tint only, have I ordered the wrong glasses?. Does anybody have any experience of this?. This is showing as expired but it just worked ok for me.